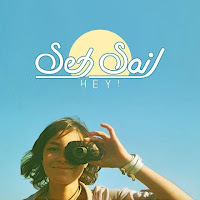 It's an oldie, but definitely a goodie, Set Sail make the perfect music to play in a H&M or Urban Outfitters store. "Charleston" is from the Hey! EP released back in May and is a ripper of a song. It's an extremely short single, but it really doesn't need to be any longer, perfect for a quick dance. Punchy rhythm, surf-rock guitars and a chorus that will rock your socks off, you'll definitely fall in love with this number, no doubt.